Monday was a day to get up early and get Cinderella to her gardening class. I’ll have to admit that her little garden plot looks better than anything I have growing around the house. My running has shifted to evenings now that our running group is meeting. We meet at 7:00 pm, so I have also shifted all of my meals. I cannot eat a meal more than three hours before running. Breakfast has now become brunch. Lunch and dinner are now “linner,” and I eat a very late supper somewhere around 8:30 or 9:00 pm. Since Cinderella had her class and we often don’t get back until after lunch, I fixed my breakfast and took it with me. I waited as long as I could stand to eat it, but I woke up hungry Monday morning–most likely because I went to bed hungry Sunday night. We stopped at the grocery store on the way home to get groceries. The refrigerator was completely empty after going out of town the week before, so it was a big haul. And, of course, I let Cinderella talk me into buying a few things I normally wouldn’t. I was starting to get hungry again by the time we got home right after noon. I knew this was bad news since my next meal wasn’t scheduled until 4:00 pm. Cinderella opened the treats I let her pick out–a few chocolate covered raisins from the bulk section of the store and a bag of Pirate’s Booty we found in the clearance section. I was curious about our unexpected purchases, so I gave them a taste. And then I mindlessly ate another, and another, and another. I was putting food away in more ways than one. Then my mind said, “STOP! What are you doing? You’d be better off eating a whole other meal instead of binging on this junk!” I immediately stopped and fixed myself a healthy snack that would hold me over until 4:00. What do I think precipitated this? I have only made one change to my eating habits. I am following a food plan, planning all of my meals ahead of time, and weighing my food. This sounds like a lot of work, but it’s really not. This has taken a load off of my mind as far as thinking about food, what I’m going to eat, when, was it the right amount, etc. I have been eating three meals a day, so I think that eating outside of this framework made red flags start popping up. We have to have food to survive. It’s everywhere, and marketers are intentionally manufacturing foods that are addictive and appeal to all of our senses. We can give up certain foods, but we can’t give up eating all together to break the addiction. It’s easy to see why controlling our food intake (at least in this country) may be one of the most difficult hurdles for a large portion of the population. Last week I was in my local Sam’s store when I came across a couple of young ladies giving out samples. Actually, they saw me and asked me to come over and try their wares. Their wares were mini frozen pizzas of different flavors that you could heat up for just a few minutes in the oven or just a few seconds in the microwave oven. These were being pushed as an “all natural,” healthy snack to feed your family. When I heard the words “all natural” I almost burst out laughing. I can think of all kinds of “all natural” things that aren’t necessarily good for me and that I don’t want to put in my mouth. The truth is that the FDA has not come up with a definition of the word “natural.” When it comes to our food, manufacturers can put “natural” on their box, and it can mean just about anything. Don’t be fooled. Here’s a short movie (about 15 minutes) made by young man from our church. It has a great ending and is well worth your time. 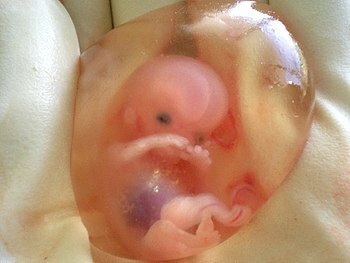 “13 For You formed my inward parts; You wove me in my mother’s womb. As humans can we discern, decide, or even comprehend when life truly begins? Clearly, God recognizes us and knows us before we were even formed–formed by Him. Who are we to determine when life begins? Clearly, we cannot delineate a precise point in time which life begins or in which God recognizes our life. However, the prideful, all-knowing humanist thinks he can determine these things. The goal is to keep pushing the date back. The whole idea is to make life meaningless and of no value. That will pave the path to all kinds of ideologies such as abortion at any stage during and after pregnancy, euthanasia, etc. We live in a world that is dying from truth deprivation.